I like it haha. Can you share your moon code please? Well there's your problem. Set that to a MUCH lower value. Just move the decimal to the left three places. Also, set all hills values to 0, they make asteroids look terrible. sent808, unfortunately SE currently forces all planets over a certain size to adopt ice giant/gas giant classifications. There is no way you can change this. Space Engine refuses to recognize some of my cloud properties entries. Specifically "twistMagn" and "twistZones". I've used every available shader. I've put those entries both in the Surface Tags, Clouds Tags, both, no set of arrangement will work. I can set twistMagn to 1.2, but the Game will always choose it's own procedural setting no matter what. I've tried anything and everything I can think of. This is for Terras AFAIK, in 0.973. Is it normal for the game to ignore some of my custom script settings? It will also ignore my custom tropicsWidth settings as well, for all of my Terras. I've checked, double checked, re double checked the spelling and syntax in all cases, and I'm still geting nothing. That's weird about the twist settings, they've always worked fine for me. Concerning tropic width, I'm not sure if that can be set manually or not, there are some things that SE will always generate itself or will override sometimes. 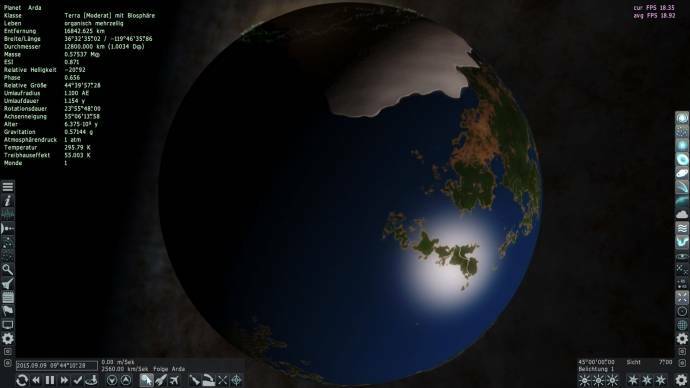 Post your planet script and I'll take a look at it. It's my Belle Hades Planet. Oddly, I changed the cloud settings in the in-game editor and exported that edited script, and copypasted it verbatim, and it still didn't work. My Issue with the tropics was with a different world, "Planet", which was my own personal take on the planet from that "Alpha Centauri" game from Sid Meier. I couldn't change either the tropicWidth OR the tropicLatitude either. Mass 1.8394648829431438127090301003344 // 1.84 in the Data. Radius 7526.20284 // 7540 km in the Data. Density 2.0528665023316047673340212764766 // 2.06 in the Data. Hi, can someone explain the Adiabat parameter under "Atmosphere", and how it is supposed to work in Space Engine, please? I'd like to use in a procedural generated planet surface a hand-painted part. is it a cloud layer, when I disable clouds, it disappears. If it is not possible, it would be my suggestion, this possibility to integrate in SpaceEngine. I'm sorry if this is a nooby question, but how do i get procedural asteroids for my system? and put it in catalogs\stars. Open the exported system in an editor. Copy and paste all asteroids or comets or both to a new script. Replace with "Search & Replace" the 'ParentBody' with the name of your system. 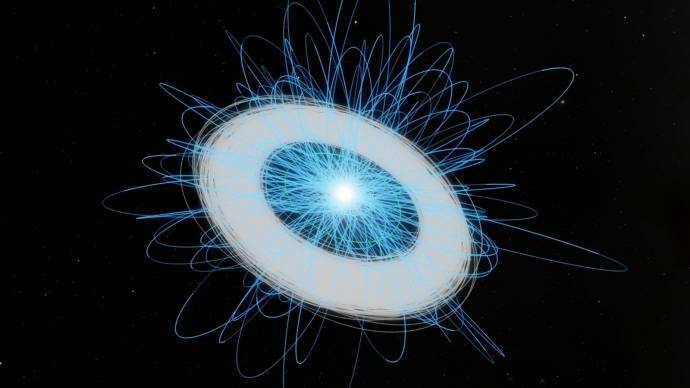 You have now comets or asteroids for your system. The "G2 V" star in the little script is a star like or sun, also the system it created is like our system. If you want a smaller or bigger system, you must give it an other class. I have added two scripts, which I so created. Uhmmm... Hi. Unfortunately, my computer is no longer able to run Space Engine efficiently, so I can't really do it by myself, so I'll leave it as a small request here. 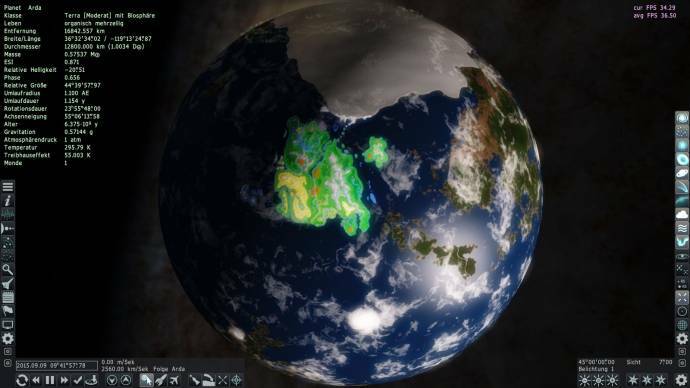 I'd like it if someone made the planet Skaro from Doctor Who in Space Engine and then take beautiful pictures of it and post them here or send them to my facebook, www.facebook.com/TheMonkey595. I'd highly appreciate it. Here's information on the planet. Which parameters can I use to determine how big the arable land on the one hand, and unusable areas such as deserts, permanent ice and snow surfaces, and mountains are on the other hand, in relation to the total land area? Is that even possible? So what I'm looking for exactly, is a way to say, I want such and such percent usable land area, everything else I leave to SpaceEngine. This will add a color tint for various landforms (you can look at the code few lines after to see which color is assigned to which landform). After tweaking xxxFraction for each ladform in the planet editor, you can export it's script. thanks for the answer, but I'm afraid that's not quite what I need. I need landforms for more than 300 objects, and it is very complicated, if I have to adjust a number of parameters manually. What I need exactly, is the relationship between ocean and land; and land and agricultural land. I was hoping that I could determine this with two or three parameters. Relationship between land and ocean I determine with 'height' in 'Ocean' tag. I do not know how accurate that is, but it seems to be reasonably accurate. But I am missing a simple solution for the determination of usable land area. Well, then, if necessary, a little more work. It is of course impossible, I'm working all the objects individually in the editor.